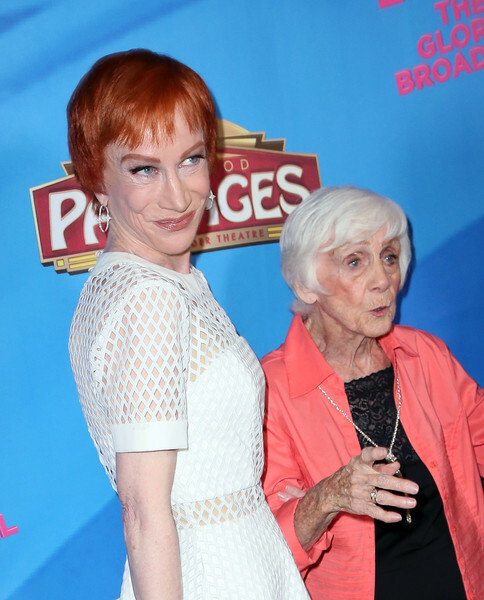 Comedian Kathy Griffin (L) and mother Maggie Griffin attend a celebration of the Los Angeles engagement of "On Your Feet! ", the Emilio and Gloria Estefan Broadway musical, at the Pantages Theatre on July 10, 2018 in Hollywood, California. Kathy Griffin Book Signing For "Official Book Club Selection"